We are hiring – Sales Manager! The aim was to show how easy is to start selling online, in frames of the project, developed several illustrations and icons. Created idea – seven easy steps, accepted as the main concept, website has been developed on time and budget. 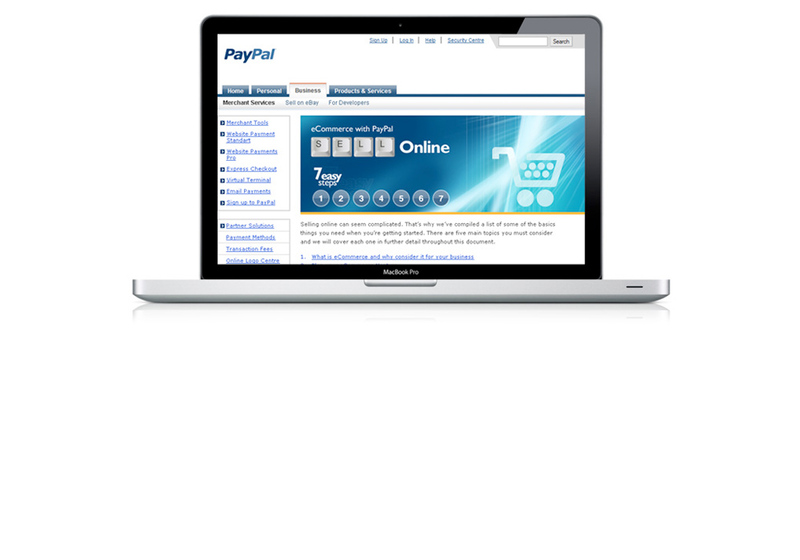 Website has become as a part of PayPal’s promotional network. Want an attractive and effective website? Create a website for me! Before we start, we would like to know more about you and your goals you would like to reach, please follow the button on the right hand side, and complete the requirement form. Please try to include all the necessary details and your thoughts! They are extremely important, to ensure that all of our future projects will be completed as planned and to a mutually agreed timescale and budget! Most companies can benefit from a well designed website as it is a proven way to improve business by enabling better communication with new and existing customers. It is your shop window on the web and as such, it has enormous potential to generate increased business. One of the key measurements of success in building a website, is if it can be found easily using the key search engines, Google, Bing, Yahoo etc. Our SEO strategy ensures that your company is well placed in searches using keywords, which relate to your company and reflect your product or services. There are two key factors, which will contribute to a successful SEO strategy. The right choice of development tools can save both time and money and provide better overall results; so it is crucial that we use only the best in class software to deliver your work.